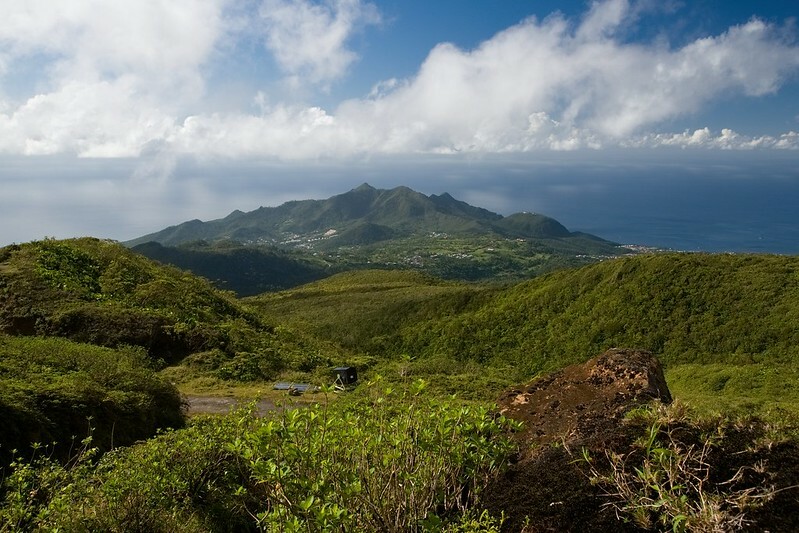 Authorities have extended the no-access zone around the main Soufriere Guadeloupe gas emission centers on January 15, 2019. The alert level remains at Yellow (Watch). The decision was made due to an increase in seismic and fumarolic activity detected since January 8, 2019. Although earthquakes are of very small magnitude, there have been some 600 events over the past 7 days, signaling renewed activity of cyclic process of injection of deep magmatic gas at the base of the hydrothermal system at a depth of 2 to 3 km (1.2 to 1.8 miles) below the summit. The Volcanological and Seismological Observatory of Guadeloupe (OVSG) advised authorities to extend the no-access zone to at least 50 m (164 feet) around the main gas-producing centers. 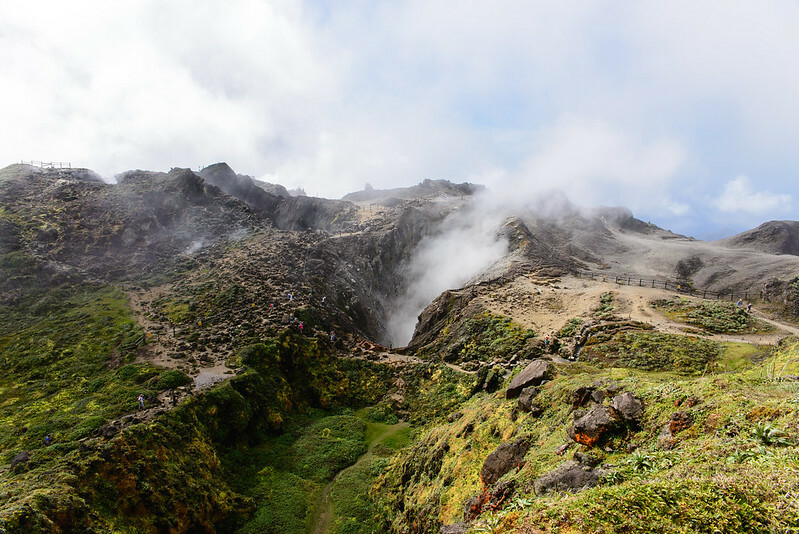 A safety perimeter exists since about 20 years ago due to the gaseous emissions, around and leeward of the main fumaroles of the top of the Soufrière which present risks of irritation and burns for the eyes, the skin or the respiratory tracts, Claude Grandpey of Volcanoes and Glaciers said. The most affected places are the southern crater, the Tarissan, and the chasm of 1956. There is also a risk of projection of burning mud and acid. Violent phenomena of this type were observed during the famous crisis of 1976. Due to toxic gases, a municipal law of October 29, 2001, amended on January 27, 2015, prohibits public access to certain areas of the summit. In November 2018, OVSG recorded 871 earthquakes of volcanic origin, located mainly under and around the dome of Soufriere, between 0.2 and 2.3 km (0.1 and 1.4 miles) under the summit. "Since the beginning of 2018, we have witnessed a cyclic process of deep magmatic gas injection at the base of the hydrothermal system at a depth between 2 and 3 km below the summit," says the OVSG. "This generates a recurring process of overheating and overpressure of the hydrothermal system." There is no reason to be alarmed at this time, the observatory said, adding that the probability of eruptive activity in the short term remains low. The last eruption of this volcano took place in 1976 and 1977 (VEI 2). 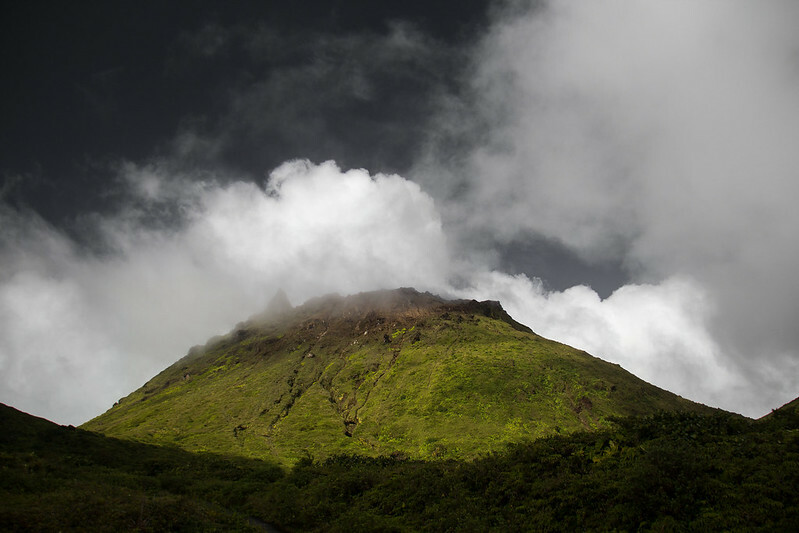 La Soufrière de la Guadeloupe volcano occupies the southern end of Basse-Terre, the western half of the butterfly-shaped island of Guadeloupe. Construction of the Grand Découverte volcano about 0.2 million years ago (Ma) was followed by caldera formation after a Plinian eruption about 0.1 Ma, and then by the construction of the Carmichaël volcano within the caldera. Two episodes of edifice collapse and associated large debris avalanches formed the Carmichaël and Amic craters about 11 500 and 3 100 years ago, respectively. The presently active La Soufrière volcano subsequently grew within the Amic crater. The summit consists of a flat-topped lava dome, and several other domes occur on the southern flanks. Most historical eruptions have originated from NW-SE-trending fissure systems that cut across the summit and upper flanks. A relatively minor phreatic eruption in 1976-77 caused severe economic disruption when Basse-Terre, the island's capital city, which lies immediately below the volcano, was evacuated.